For the first time, the cost of Erdoğan’s Turkey is being counted in bodies. No wonder the prime minister is on the defensive. There have been some heartbreaking stories coming out of the once sleepy town of Soma. 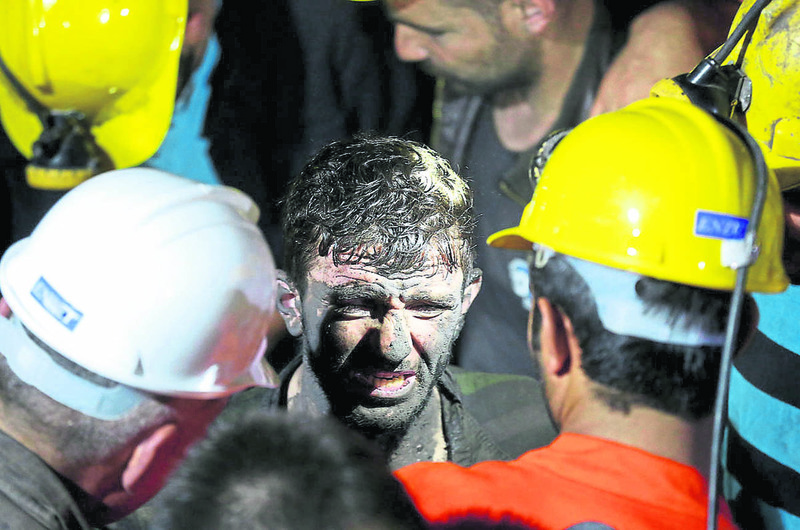 Turkey’s worst-ever mining disaster is being covered by journalists both at home and abroad and I won’t needlessly repeat their excellent coverage here. But national tragedies can be uncannily illuminating in understanding a nation’s character and I think this is worth dwelling upon. 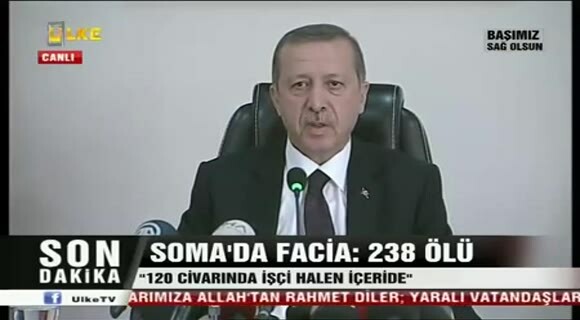 The response to the Soma disaster reveals much about the kind of country Turkey has become under Recep Tayyip Erdoğan. On paper, the government is not responsible for this disaster. The mine is privately run. Soma Holding, the firm that owns it, is accountable for worker welfare. Prosecutors need now to examine conditions at the mine and file charges over any negligence. The government’s role in such a tragedy is to oversee that process and speak for a nation in shock. And yet, as with just about everything in Turkey these days, it’s all about Mr Erdoğan, the prime minister. He was heckled and booed when he visited Soma yesterday. There were scuffles between the relatives of victims and his entourage. And we saw more battles with protestors in Istanbul and Ankara in a throwback to last summer’s Gezi protests. But are the protestors hijacking a national tragedy to attack a government they already loathe? There are two reasons why this is not the case. The first is that conditions for Turkish labourers are plainly awful and the AK Party government has done little to improve things for them. They have long worked dangerous jobs for shoddy salaries and privatisation has made it worse. Worker fatalities are distressingly routine in Turkey – just look at the shipyard deaths in the İzmit bay area. It was Mr Erdoğan’s government that privatised the mines. It was his government that last month vetoed opposition calls for a parliamentary inquiry into Soma. The anger of the victims’ families at the government is easy to understand. But there are thousands of people demonstrating on Turkey’s streets who until this week had probably never seen a coal mine or campaigned on worker welfare issues. For them, Mr Erdoğan’s handling of the Soma crisis exhibited every reason why he is so despised. This is the second reason why today’s protests are not a hijack. He was visibly stubborn at a press conference following his visit to the mine. There was no humility: far from announcing a review to look at what went wrong, he described mine deaths as “ordinary events” and compared Turkey’s mining record with Victorian Britain. Suggestions that a minister should resign over the disaster were practically laughed away. Mr Erdoğan’s eleven years in power have transformed Turkey. It is because of his government’s work that people in Turkey have never had it so good: they go to better schools, stay there for longer and are more likely to find a good job when they leave. The young people protestering on the streets since Gezi Park have all benefited from this social transformation. Mr Erdoğan would contend they are ungrateful; the demonstrators can rebut they learned to demand more. This generation of politically aware youth is as much Erdoğan’s legacy as the factories and airports he likes to boast about. He achieved it all through his powerful ability to unite different factions of Turkish society: business leaders, urbanised religious conservatives and liberal intellectuals all joined his Anatolian voting base at the beginning of the last decade to create an unstoppable electoral force. This national consensus transformed Turkey at a pace not seen since the times of Ataturk. But it is clear Mr Erdoğan has lost that political capital. The prime minister’s lack of empathy over the Soma disaster has been astonishing. He failed to speak for a nation in shock. He frequently lost his temper when confronted by angry, grieving relatives. He churlishly refused to accept people demonstrating against him could have good reason for doing so. Never before in his premiership has he faced such a dramatic loss of life. It is difficult not to conclude the strains of Turkey’s unending political turmoil are affecting Mr Erdoğan’s judgement. Mr Erdoğan is still on track to nominate himself for the presidency. Once he does that, he will be on track to win the election. That will not be good for Turkey. Plainly, the sooner Mr Erdoğan’s career draws to a close, the better off his country and his legacy will be. Given his reaction to the multiple deaths, his alleged attack on a member of the public, and the documented violent behaviour of one of his aides, I can see no possible future for him but resignation. Well said, yet we do not vote. The 44 to 45 percent of poor conservative hinterland supporters are unwilling to accept that their hero is becoming a villain.